This is one of my favorite meals, so light and so fresh. The perfect summer-time meal and it was the best thing for our first patio dinner of the season. We were able to do all the cooking outside and enjoy the beautiful weather. 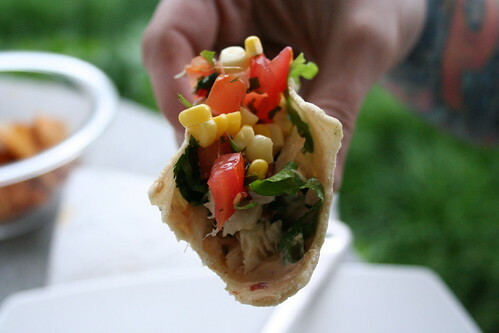 I love the sneak up heat from the chipotle cream and the freshness from the grilled corn and the fresh pico de gallo, these three ingredients should not be skipped, they set these tacos apart from most that I have had. We served this with a small dollop of organic refried black beans and a few fresh corn chips from the farmer’s market on the side. 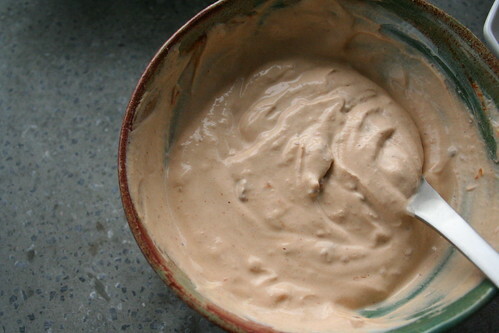 To make the chipotle cream, add the yogurt, mayo and chipotles into small bowl and stir to combine. This can be made ahead of time and chilled until you are ready to eat. Lay the fish flat in a glass baking pan, cover in olive oil, lime juice, salt and pepper. Let marinade for at least 30 minutes. 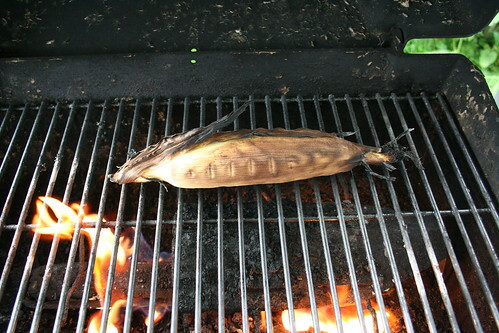 Start your grill and after it reaches a medium-high heat add the corn and cook until done, about 15-20 minutes. We put the corn right on the grill in the husk after we soaked it a bit, you can also take it out of the husk and cook it in foil. 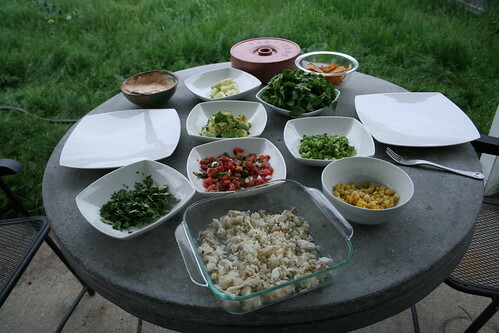 Meanwhile, chop and prep all of your ingredients for the tacos and place in bowls for serving. Make the dough for your corn tortillas, press and cook them, store in a warm oven or in a tortilla warmer until you are ready to eat. 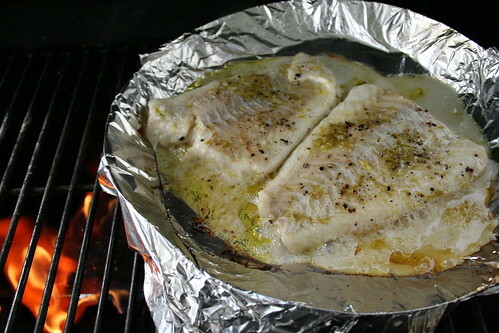 Remove the fish and add it to a foil lined grill pan on your hot grill, cook for approximately 3-5 minutes per side until cooked through, opaque and flaky. Set fish aside for 5 minutes. Flake the fish with a fork. Top each tortilla with 1 tablespoon of chipotle cream. 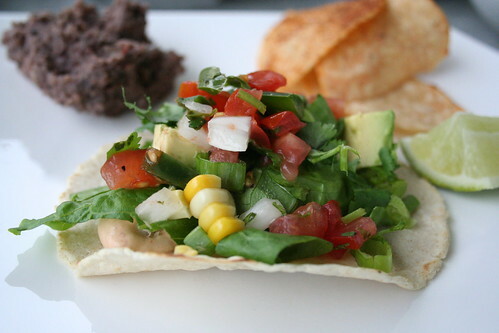 Top with fish, lettuce, corn, cilantro, green onions, pico de gallo, avocado and/or any other items that you would like. Serve with lime wedges.